At Donato's Trattoria there’s no time like the present to be in the moment, enjoying a meal of fresh and delicious Italian food in the company of loved ones. The menu offers classics like Misto Terra, Calamari, or Toscana Salad as starters to whet the appetite. Pastas include favorites from home-made Gnocchi to Spaghetti Carbonara, Fettuccini Alfredo, and Lasagna. Meat dishes range from Vitello Margarita to Pollo Napoletana. Donato's Trattoria menu features a wide range of pizza from Vegetariano Pizza to Buffalo Chicken and Hawaiian Pizza. And it wouldn’t be an Italian family dinner without Tiramisù and Cannoli Trio to finish off the meal. Come prepared to eat, and enjoy like you’re truly one of the family. We offer off-premise catering for any size party or event. Visit our catering menu online or call us at 914-923-8268 and we can customize a catering package for your special event. 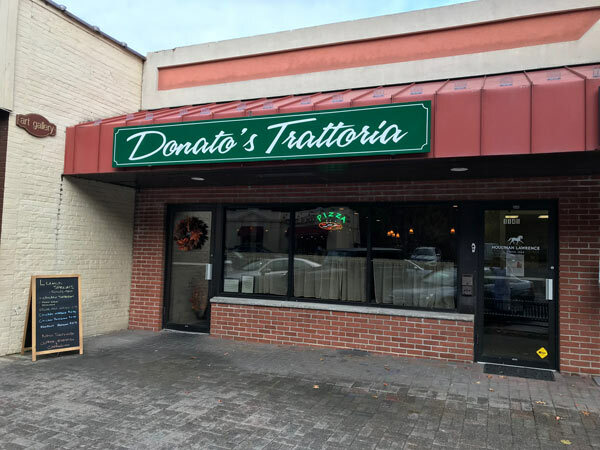 Donato's Trattoria is conveniently located at 1147 Pleasantville Rd. in Briarcliff Manor, New York.